While both Microsoft and Sony have upgraded mid-generation consoles on the way, only the Xbox maker appeared to be releasing a slimline (and slightly more powerful) version of its current machine - the Xbox One S. But according to reports and leaked images, we’ll also be getting a slimmed-down version of the PlayStation 4. Sony is expected to unveil its 4K-enabled console, codenamed Neo, at a New York event in a couple of weeks time. But the Japanese firm has made no mention of plans to follow Microsoft in releasing a slim version of its current-gen machine. A bit surprising, considering it had released slimline models of the PlayStation 2 and PlayStation 3. But it looks as if Sony was just playing its cards close to its chest. 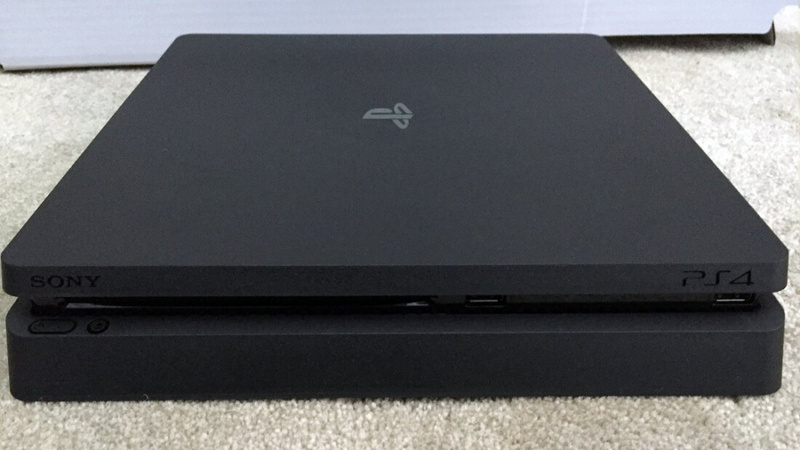 Purported images of a thinner, rounder PlayStation 4 recently appeared on a UK auction website listing, which has since been pulled. However, there are more images on NeoGAF and from Twitter user shortman82 that show the console's 500GB hard drive, different model number (CUH-2016A) and plug for the PlayStation VR. There are also photos comparing the machine with the current PlayStation 4. While some have greeted the images with skepticism, the pictures were given more authenticity by a report from the Wall Street Journal yesterday. Citing sources “familiar with the matter,” the publication said that two new consoles will be introduced at the Sony event in a bid to “maintain demand” for the PlayStation 4. We’ll find out all about the Neo and this new PlayStation 4 slim at Sony’s Times Square media event, which starts at 3 pm ET on September 7.